Motorola has already launched the Moto X4 is some markets, but still, the phone is not available in India. There was an event happening on October 23rd, but for some reasons, Motorola delayed it, and now, the phone is launching on November 13th. Today, we have got the information about the Indian pricing and the variant which will be available for this price. The price might interest you but keep in mind that this is the pricing for the non-Android One variant of the phone. So, it is now difficult to say if the company is going to launch the Android One variant also or not. 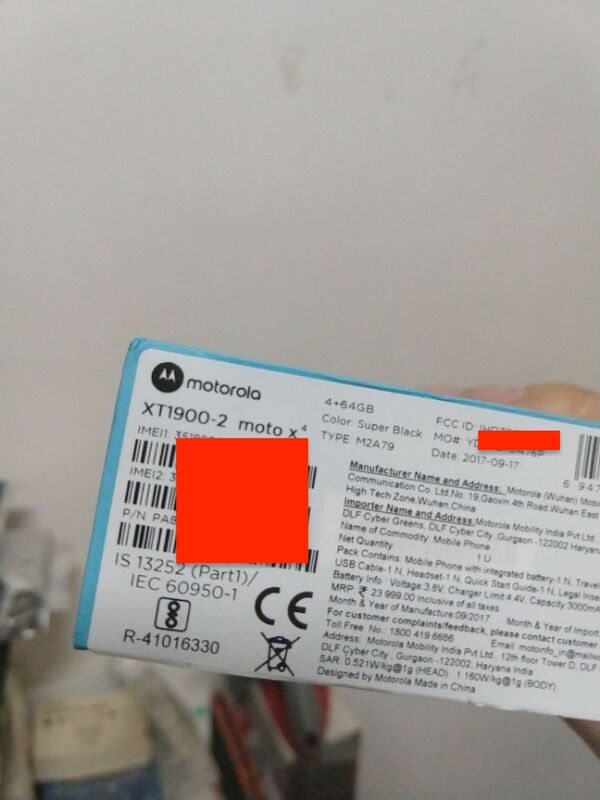 CHECK OUT: Motorola Moto X4 Specifications – The Moto X is Finally Back, Kind of.. If you don’t know, the Moto X4 packs a 5.2-inch Full-HD IPS LCD Display, Snapdragon 630 Processor, 3,000mAh battery, Dual Rear Cameras, IP68 rating, Metal and Glass Body and more. Is the price of Rs.23,999 good for a phone with these specifications? Do let us know via the comments section.